AirDroid is a dead-simple-to-use browser-based device manager for your Android phone. Via Wi-Fi, it quickly and easily connects you to your device from almost any web browser on your computer, Windows or Mac - no pesky plugins required. And it's 100% free. It also works great, allowing you to hold SMS conversations, manage files and apps on your phone, along with many other useful features. It doesn't hurt that AirDroid is pretty gorgeous, too. We're going to have to agree with our readers yet again - AirDroid is pretty awesome. It's not so much what AirDroid does that makes it great, those features are what make it useful. 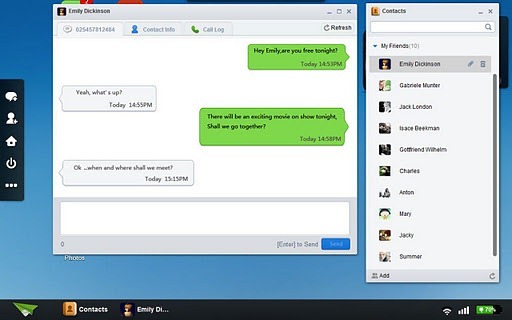 Besides, there are a number of apps similar to AirDroid already out there. It's all the little things, the things that make AirDroid a joy to use, which make it the app of the year. Setting up AirDroid is a snap, just be on a Wi-Fi network, and type your device's displayed IP from the AirDroid app into your browser, enter the password, and you're done. No plugins, no drivers, no software (aside from the app). It couldn't get much easier. Then, there's just how it looks. It's an absolutely beautiful web interface that really shows a polish above and beyond that of similar solutions you might find on the Market. Finally, the cost - free. Can't argue with that as a plus, especially for an app of this quality. With all this in mind, it's easy to see why AirDroid is not only a useful app, it's a useful app that has been executed uncommonly well. Voting is now over. Results will be kept for archival purposes. What Was The Best New Android App Of 2011?